The very mention of Kashmir evokes the name of one of the highly revered pilgrimages in India to Goddess Vaishno Devi. And with it, it’s Katra that emerges, quite significantly, into your imagination. From times immemorial, millions of tourists visiting Kashmir have expressed how words fail when it comes to describing the beauty of this little paradise of North India. Nestled in the foothills of Trikuta Mountains, the small town of Katra is known for being the base camp for Vaishno Devi Pilgrimage. One of the most important religious tourism destinations in India, it is situated in the Reasi district of Jammu and Kashmir. Over the years, Katra tourism has witnessed the growth of several luxurious resorts, fast-food joints and comfortable accommodation for pilgrims and tourists alike. In a nutshell, it is an interesting rendezvous to explore, time after time, with each journey leading to a different experience. Just the Kumbh Mela—one of the largest religious and peaceful pilgrimages of the world—it is impossible to experience the true richness of India without visiting the Hindu pilgrimage of Vaishno Devi. In fact, more than eight million pilgrims do visit it, every year. 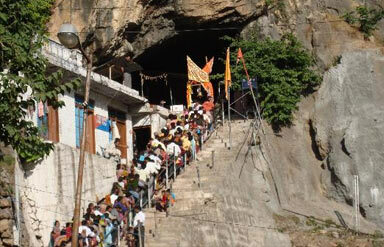 This cave shrine is locally called as ‘Trikuta Bhagwati.’ Three Pindis (rocks) signify the deity in the cave shrine. Acknowledged second after Vaishno Devi pilgrimage in terms of religious importance, it is known for the naturally formed Shiv Linga. This symbol of Hindu Lord Shiva holds enormous importance in worshipping and religious rituals. The famous Hindu festival of Maha Shivaratri is held with enormous importance in the region. Along with being a sacred destination for Sikhs, this Gurudwara attracts pilgrims from various religions. Embroidered by River Chenab, it was constructed by Baba Banda Bairaagi. 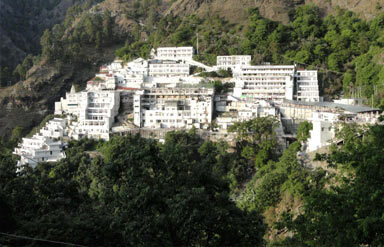 The three-day annual fair held in this Gurudwara attracts pilgrims is a major tourist attraction of Katra. With more than 300 years of history, this sacred place also preserves the ashes of Dera Baba Banda. One can also spot weapons and a huge sword used by Baba Banda, safely protected within the Gurudwara. 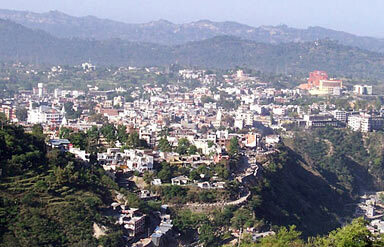 Located 10 km away from Katra, it has emerged as one of the sought after picnic destinations in the world. Situated amidst dense grove of trees, it holds mythological importance for being connected with Lord Shiva. It is strongly believed that a holy dip in the pool leads to washing away of your sins and endowing the needed salvation. Tourists can explore nearby destinations such as Surinsar Lake (70 km), Patnitop (94 km), Sanasar (111 km), Sudh Mahadev (108 km) and Bhaderwah (170 km). While shopping in Katra, look out for dry fruits, woollen attires and leather goods. Shawls, saris and chunris can also be purchased as memorable souvenir. With its sub-tropical climate, the best time to indulge in Katra Tourism is from March to November. Do carry heavy woollen clothes during the months of winter. Air: The Satwari Airport in Jammu is located 48 km away. Rail: The nearest railhead is Jammu Tawi, located 47 km away. Road: Regular bus services are available from Jammu, Chandigarh, Srinagar, Dalhousie, Amritsar, Kangra and Anantnag to Katra. 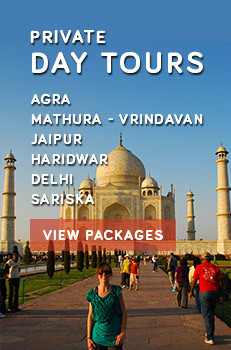 So, get ready for the much awaited journey to explore India with a single trip to Katra. Nothing matters more.